The Boho spirit that enamoured the fashion world this summer continues to inspire and strongly influence coming fall fashions. Envision romantic floral chiffon and feminine lace, paired with tweed, shearling and suede for rich textural juxtaposition. You can continue to get lots of millage out of your summer pieces with some accessorizing. Wear your little white dress as we transition to cooler temperatures by throwing on a leather jacket and adding over-the-knee boots. Don a pair of wide-legged trousers with your peasant blouse and add a cape or sleeveless vest, you get the idea. Although my personal style is more edgy New York than hippy L.A., I do have a soft spot for Boho Chic after living in Los Angeles for a few years (visit my Pinterest page ). Inspired by the Chloé pre-fall lookbook on the Barneys New York website, I have culled pieces at various price points so anyone on any budget can easily put together these free spirit looks. Click on item descriptions to purchase any of these pieces online. All prices are in Canadian dollars unless listed otherwise. Left to right, Chloe dress $3350 US, Michael Kors dress on sale for $623 US, Ivanka Trump peasant dress $149. Left to right, Chloe boucle coat $2750 US, Vince draped boucle vest $611.79, H&M boucle coat $69.95 US. 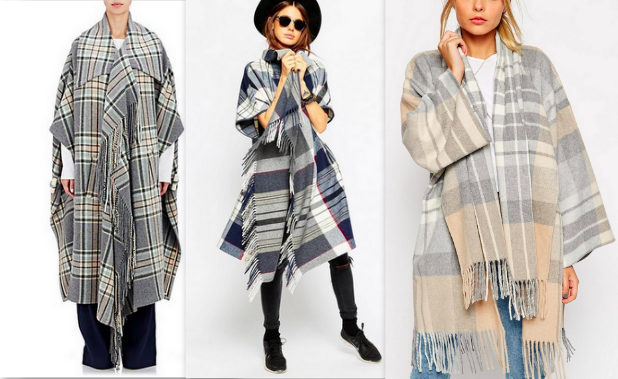 Left to right, Chloe blanket coat $3495 US, ASOS blanket cape $164.28, ASOS wrap blanket coat $115.60. 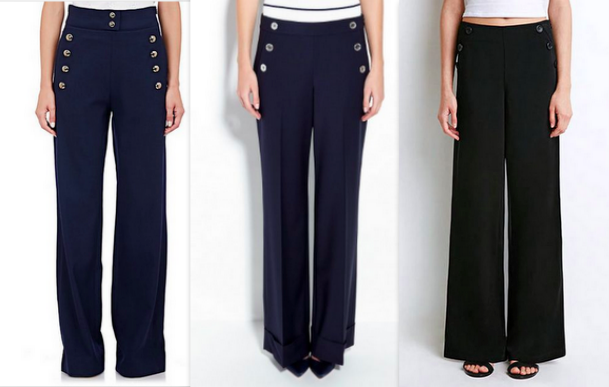 Left to right, Chloe sailor trousers $1395 US, Pink Tartan trousers $295, Forever 21 trousers $22.99. 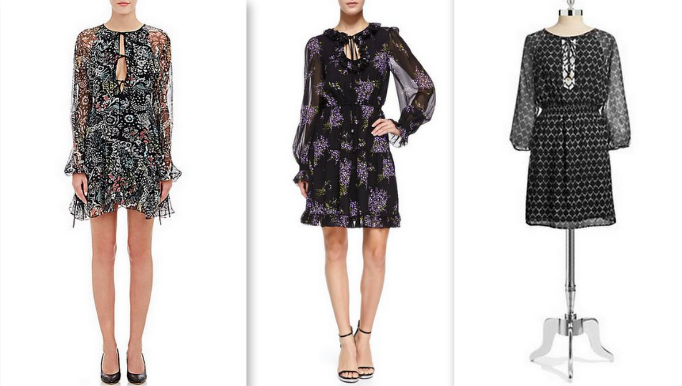 Left to right, Chloe lace dress $2995 US, Lauren Ralph Lauren dress $217, English Factory dress $93 US. Left to right, Chloe bucket bag $1350 US, Michael Michael Kors bag $298, Free People vegan leather bag $89.42. 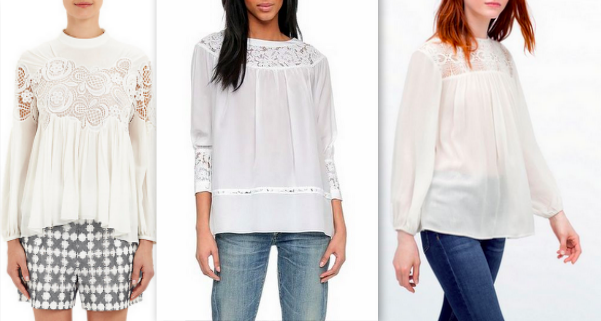 Left to right, Chloe peasant blouse $2650 US, Rachel Zoe blouse on sale $88.50 US, Zara blouse $49.90. 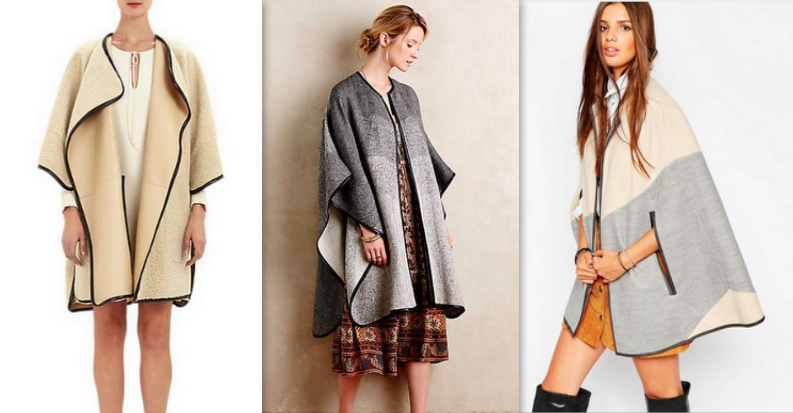 Left to right, Chloe shearling poncho coat $6995 US, A Peace Treaty cape $650 US, ASOS cape $87.61. Left to right, Chloe suede over-the-knee boots $1625 US, Strategia boots $594.00, Zara leather boots $159. 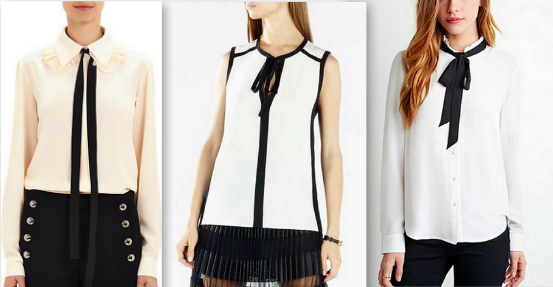 Left to right, Chloe necktie blouse $995 US, BCBG necktie top $223, Forever 21 blouse $29.90. Left to right, Chloe Georgia bag $1090 US, Zimmermann saddle bag $495 US, Zara leather messenger bag $49.90.